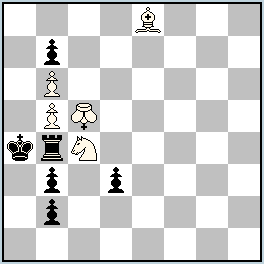 Pressburger King (Super Transmuting King): King which definitively takes up the nature of the checking piece (and thus loses his royal status). Nice problem. The solutions may not be difficult, especially the first two.! I like the differenciation of the two rook checks. What’s the purpose of wSc4 in the 1st mate? And of wBe8 in 2nd?